Joint preservation refers to all of the joint care that is done short of performing a replacement. Joint preservation can be used for any joint, but it is most commonly used on the knee, hip or shoulder. Click here to read our in-depth blog on joint preservation. Joint replacement, or arthroplasty, is a procedure in which an arthritic joint surface is replaced with a metal, plastic or ceramic device called a prosthesis. The prosthesis is designed to replicate the movement of a normal, healthy joint, and more importantly, provide pain relief. There are different types of joints within the body. For example, the shoulder and hip are “ball and socket” joints, in which the rounded end of one bone fits into a cup-shaped area of another bone. The knee is considered a “hinge” joint because of its ability to bend and straighten like a hinged door. WHEN IS JOINT REPLACEMENT NEEDED? There are several conditions that can cause joint pain, disability and lead patients to consider joint replacement surgery. In many cases, joint pain is caused by damage to the cartilage that lines the ends of the bones (articular cartilage), either from arthritis, a fracture or another condition. 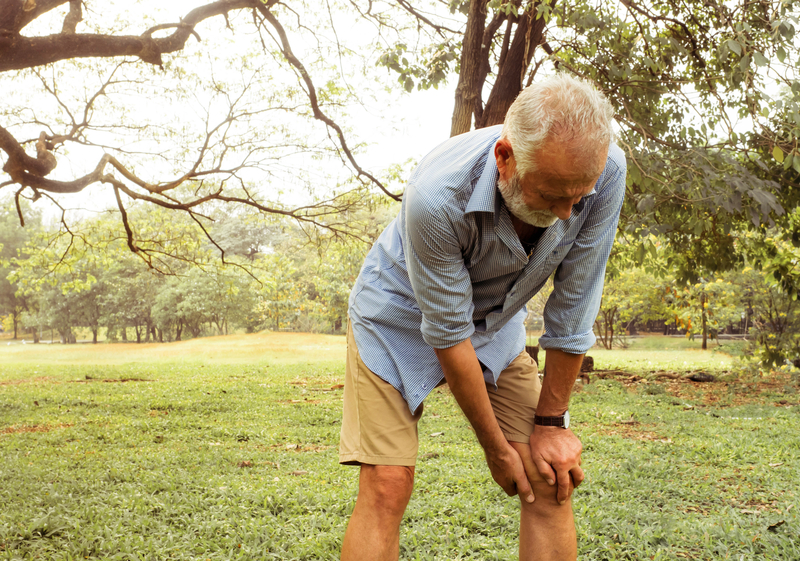 If medications, physical therapy and changes to your everyday activities do not relieve your pain, then joint replacement surgery may be needed. In the weeks before your surgery, your doctor will spend time preparing you for the upcoming procedure. This can include your doctor checking your general health or running required tests, such as a blood test and a cardiogram to help plan your surgery. Talk to your doctor, learn what to expect before, during and after surgery. How long will my pain be managed after surgery? Joint replacement surgery is designed to resurface the damaged cartilage. During the procedure, the damaged joints is resurfaced. The prosthesis can be attached to the bone with acrylic cement or it can be press-fit, which allows the bone to grow onto the implant. Once the joint replacement is in place, the patient will go through physical therapy to be able to move and use the joint. The three most common joint replacement surgeries are the hip, knee and shoulder. Total hip replacement is a surgery for replacing the hip socket and the “ball” or head of the femur (thigh bone). The doctor will resurface the socket and ball when cartilage and bone have been lost and will insert an artificial socket and ball into healthy bone. A hip replacement is recommended if you can not tolerate the joint pain and when the person can not perform daily activities due to the pain. Knee replacement surgery is performed to treat advanced or end-stage arthritis. Knee replacement surgery is recommended when pain has become so severe it keeps the patient from normal, daily function. Depending on the amount of damage, daily activities like walking or climbing stairs may become difficult. Bow-legged deformities and unusual knee sounds (crepitus) may become more noticeable as the deterioration gets worse. Knee replacement surgery is designed to replace this damaged cartilage or gliding surface, as well as any loss of bone structure or ligament support. The material used for knee replacement is similar to that used for hip replacements. Total shoulder joint replacement is usually needed for people who have advanced form of osteoarthritis or rheumatoid arthritis and sometimes for those that have had a severe injury or fracture. Click here to read our in-depth blog to learn more about arthritis. The main goal of total shoulder replacement surgery is to relieve pain and to improve motion, function and strength. Similar to the hip joint, the shoulder is a large ball-and-socket joint. With hip and knee surgery, you will probably need to stay in the hospital for a few days after surgery. Your team of doctors will decide how long you will have to stay in the hospital. You will often stand or begin walking the day of surgery. You will start walking with crutches or a walker. There may be temporary pain in the new joint because your muscles are weak from not being used, and your body is healing. Physical therapy can start the day after surgery to strengthen the muscles around the new joint and help regain range of motion in the joint. In most cases, if you have had your shoulder joint replaced, you can begin exercising the same day of surgery. A physical therapist will help you with range of motion exercises. Joint preservation uses new techniques to provide restoration of cartilage defects and give patients the opportunity to maintain their native joints for as long as possible. Joint replacements are done when parts of damaged joints are removed and replaced with a metal, ceramic or plastic prosthesis, which will replicate the movement of a healthy joint. Joint preservation and replacements are safe and effective procedures. “Determining which option is best for you depends on your age and how bad the arthritis is. Younger people are usually better candidates for joint preservation, and older patients are usually better for joint replacement,” said Matthew Darmelio, M.D. at Mountainstate Orthopedic Associates. At Mountainstate Orthopedic Associates, the results of joint preservation and replacements surgery are positive. Our goal is to get patients back to doing the activities they love by relieving pain. Our new joint preservation center will allow us to provide patients with a level of expertise that no other practice in the region can offer. We are happy to see any patient that is experiencing joint pain. If you are experiencing joint pain, click below to schedule an appointment, or call us at 304-599-0720.